Each year, our Young Ambassadors share their love of reading and writing in their schools and local communities, and help spread the word of Norwich as England’s first UNESCO City of Literature. In return, they get the chance to work with us for 12 months and have the support of an assigned mentor to help them reach their goals. They get behind-the-scenes passes to festivals and events as well as opportunities to interview writers and artists. They can also take part in workshops to support their professional development including presenting in public. 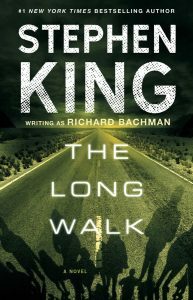 My favourite book is The Long Walk by Stephen King. It tells the story of 100 teenage boys who are forced to start a walk down the East Coast of the United States. They walk without interference, and if they stop or slow below four miles per hour they are shot dead. This is King’s first written book and, whilst the plot is very slow moving, it is packed full of emotional turbulence. I would definitely recommend reading it if you are a fan of darker stories, showing a real range of psychological and emotional trauma. 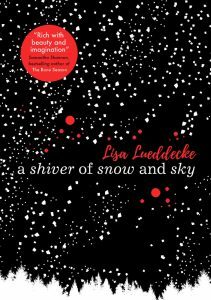 If I had to pick a favourite book it would be A Shiver of Snow and Sky by Lisa Lueddecke. I love the fantastical and mythological elements incorporated into the story: the mythical creatures, the Nordic inspired setting, the hero’s quest; the concept of the goddess and the sky is especially captivating. She uses beautiful imagery – her descriptions and attention to detail make the story so immersive, which is why I found the book so enjoyable to read. 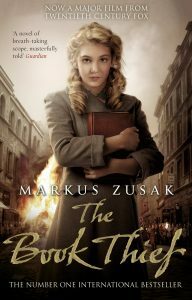 As for my favourite book, I would have to go with The Book Thief by Markus Zusak. There are many novels about the World Wars, but Zusak’s choice to have his book narrated by Death is a unique and memorable take on this topic. He handles the subject matter with grace and care, creating almost lifelike characters within the pages, and even though it is stated numerous times through the novel that Rudy would die, I still cry every time I read that scene. 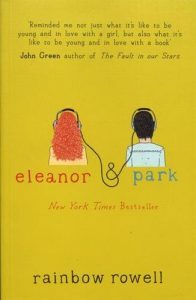 A personal favourite book of mine is Eleanor and Park by Rainbow Rowell. The book is written in a way which I adore, and the plot is simply a pleasure to read and kept me hooked throughout. The characters are so vivid and well-thought-out, and the pace of it works incredibly well with the entire plot. My favourite book would have to be The Hate U Give by Angie Thomas. This particular book is the story of Starr, a young black girl in America, seeking justice for her best friend who was wrongfully murdered by a white police officer. The story is incredibly eye-opening and emotional, and also shines light on the power of young people and their voices. It intrigued me entirely and I couldn’t put it down. 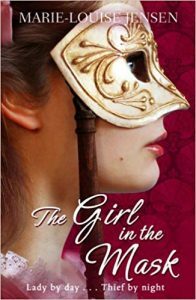 Out of all of the books I’ve read, my favourite has to be The Girl in the Mask by Marie-Louise Jensen. The story follows a spirited young girl from an upper-class English family who resists her father’s attempts to marry her off, while at the same time becoming involved in a string of highway robberies, and squashing a violent resistance movement against their King. One of the reasons that I love this book so much is that despite the fast-paced action that makes up the majority of the story, the writer still manages to embed touching, raw scenes that truly bring the characters to life. Upon being asked what my favourite book was, my mind instantly flickered to The Heart Goes Last. 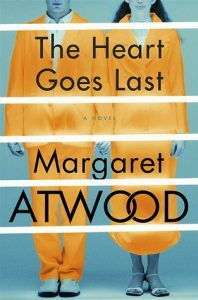 The sardonic way in which Atwood roots the true capabilities of humanity within a fractured world is both alarming and gutsy; we all occupy our own bubbles, yet this book forces one to explore the entropic motivations that ultimately underpin our society. My favourite book is 1984 by George Orwell. For me the book highlights crucial flaws in our society but brings into the light opportunities for us to prevent similar chaos. 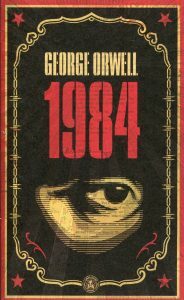 1984 is a particularly pertinent book for current times given the extraordinary socio-political changes we’re experiencing. The plot line exaggerates the natural human hierarchy to the point at which it becomes a totalitarian nightmare. Winston’s struggle and self-loathing in the middle of the social structure, above the disrespected proles but below senior party members and, of course, Big Brother, makes him easier to relate to, despite his sometimes dark actions. We can all imagine ourselves as Winston. 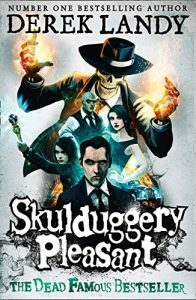 I can’t choose just one book but my favourite book series would have to be Skulduggery Pleasant by Derek Landy. The series stands out because it doesn’t have one set genre, but contains elements of horror, comedy, mystery and fantasy. The plot throughout is clever and captivating and the first few books were a big part of my childhood, so I’d recommend it to anyone aged 12 and over. 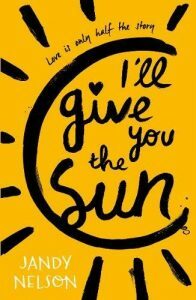 My favourite book is called I’ll Give You the Sun by Jandy Nelson because it writes about the difficulties of growing up in a broken family and finding a positive outlook with those that teach you to create. The writer’s artistry of language makes the reader empathise with the characters through their healing and the sheer number of emotions provoked is what snagged my memory. 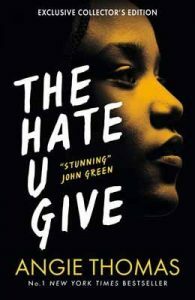 My favourite book has to be The Hate U Give by Angie Thomas. This heart-wrenching book was nominated for the CILIP Carnegie Medal and the CILIP Amnesty International Award, the latter of which the book won. The novel follows the sixteen year old American Starr Carter who turns to activism after her best friend is shot by a white police officer. Based on true events this novel reveals the horror of shootings of innocent black people in America, and it makes the stories more real than when it is on screen in the TV news. It made me question the actions of not just America’s police but the UK’s police as well. This novel also reveals the malicious racism embedded in our society. However the strong characters in this book are a beacon of shining light confronting the darkness this world is in. Why I love it: I could talk about this book for hours. 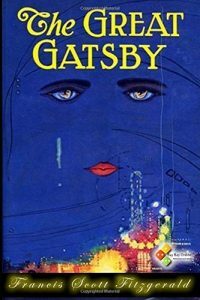 Its many layers and timeless themes continue to keep me guessing at what really lies beneath Fitzgerald’s iconic characters. Themes of jealousy, love and self-improvement are all just as relevant in society today as they were in 1920s America, which I think is what keeps readers coming back for more nearly a century later. Which books would you give to a young reader in your life?